Merrick Veterinary Group is a great place to work! If you would like to use your skills to provide excellent medical care and outstanding customer service for our patients and their owners, let us know. We are always glad to accept applications and resumes from enthusiastic and motivated, dependable, hard working, team oriented people who wish to join our staff of dedicated veterinary health care professionals. The role of the receptionist is to provide the highest quality service to our clients, perform clerical duties, and support the veterinary staff and the function of the hospital. 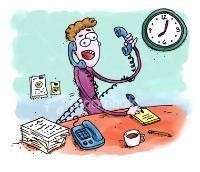 Receptionist responsibilities include scheduling appointments, making boarding reservations, answering the telephone, preparation and maintenance of medical records, filing, admitting and discharging patients, over the counter sales, mailings, computer operation, financial transactions, and reception area maintenance. 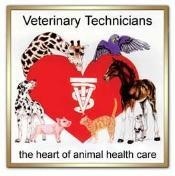 The responsibilities of the veterinary technician are to maintain quality patient care, assist doctors by relieving them of technical work and administrative detail, and to educate and instruct clients as needed. The veterinary technician position requires knowledge of hospital organization and services; use, care and storage of veterinary instruments and equipment; veterinary drug and vaccine protocols; client education information and medical/hospital terminology. Technicians are responsible for pre-operative and post-operative management of surgical patients. They maintain hospital logs, oversee the daily treatment of hospital and boarding patients, dispense and inventory drugs, assist in the operating room, and perform dental prophylaxis, laboratory procedures and radiology services. Kennel maintenance and animal care are the primary responsibilities of the kennel attendant/veterinary assistant. Duties include cage/run cleaning, feeding, walking, bathing, laundry, supply stocking and hospital cleaning/maintenance. Knowledge of kennel policies and protocols, as well as basic animal care and handling, are necessary. Kennel attendants/assistants restrain patients for doctors and/or technicians during exams and procedures and provide other assistance as needed. Kennel personal should be able to lift at least 50 lb. without assistance.